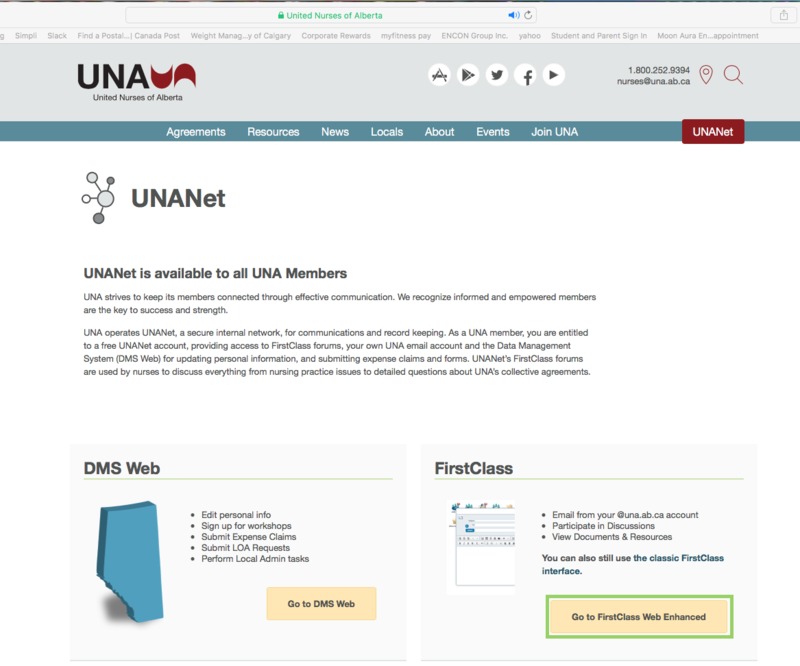 Go to the UNA website and click on Go to FirstClass Web Enhanced. When the Login screen opens, enter your User ID and Password, (same and the one you use for FirstClass). Click on LOGIN. FirstClass web version will open. In top right-hand corner there will be 3 horizontal lines. Click on them to open the menu and click on Preferences. When the Preferences screen opens, click on Messaging. 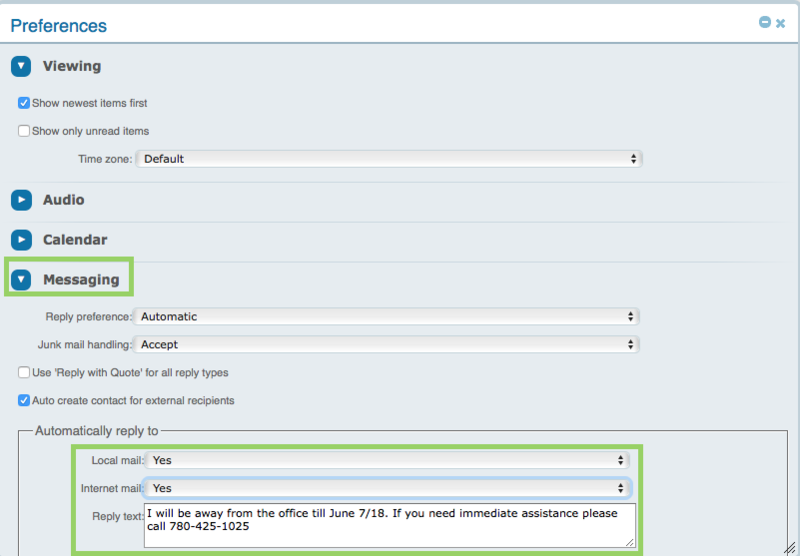 Change Local mail and Internet mail to Yes and in Reply text type in your Out of Office Message.